To help our guests gain the most from their stay, we have written a series of eight self-drive days tours that take in some of these must see locations, stunning scenery and beautiful architecture of the region. These tours (complete with maps & directions) are free of charge. Guests often ask us what the “must see” places are when staying at La Villa – one of our key attributes is our location equidistant from three UNESCO World Heritage Sites as well as untouched medieval villages which form part of the “La Pays Cathare” a host of Cathar related chateaux and villages dotted around the area. For those arriving in Mazamet by public transport or by bike, we have also written a guide of things to see and do by bike, on foot, by bus & train – including easy access to some of our suggested must-see places. Located 45 mins south of Mazamet, this is a tale of two cities, literally. 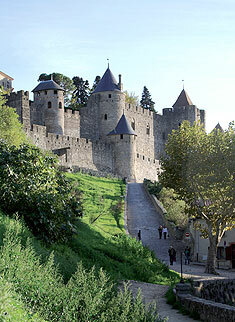 The old “La Cité” is a medieval walled city that had been largely renovated and is now a UNESCO World Heritage Site. Although the entrance is now cluttered with numerous shops selling wooden swords, fudge and ice-cream, look beyond that, and venture into the inner sanctum and the museum with its guided tours of the ramparts, and La Cité is still a ‘must see’ visit. We always advise guests to have an early breakfast at La Villa thus arriving early to beat the crowds (especially in July & August) – or alternatively end your day by arriving after 5pm. The newer part of the city (yet still 500 years old) has the shopping district, markets and a great place to sit besides the Canal du Midi and watch the boats rise and fall on the locks. 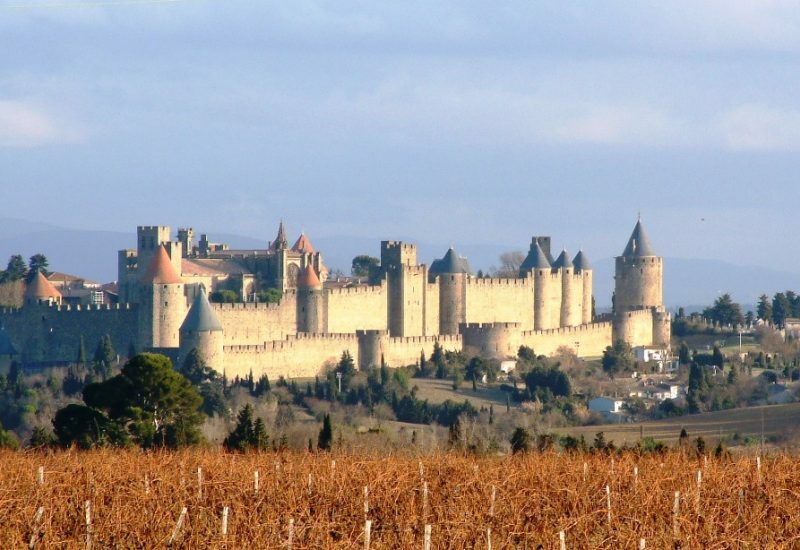 Between Mazamet & Carcassonne are a number of sites, chateaux, churches and villages, built in the 12th & 13th century by Cathars. 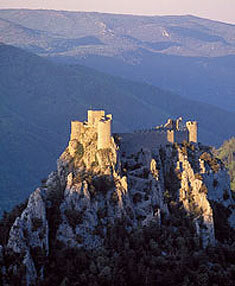 Taking the view of the Roman Catholic church, the Cathars were purely and simply heretics. To the Cathars, they were followers of a truer version of Christianity than Catholicism and came from of all aspects of the community rich and poor. Whilst Carcassonne itself played an important role (particularly as a fortification against the battles with the Catholic Church and the Royalist of France), there are numerous other villages connected to Catharisme that we point guests towards to explore the myths, legends & history of this rather dark period of history in SW France. Hautpoul, mentioned earlier and probably the village that then spilt down the mountains to form Mazamet, is a great place to start your Cathar voyage and we have a few other favourites too like the Chateaux Lastours, that we are happy to share with guests interest in this aspect. This is probably our favourite town in the area and, in August 2010, became a UNESCO World Heritage Site. 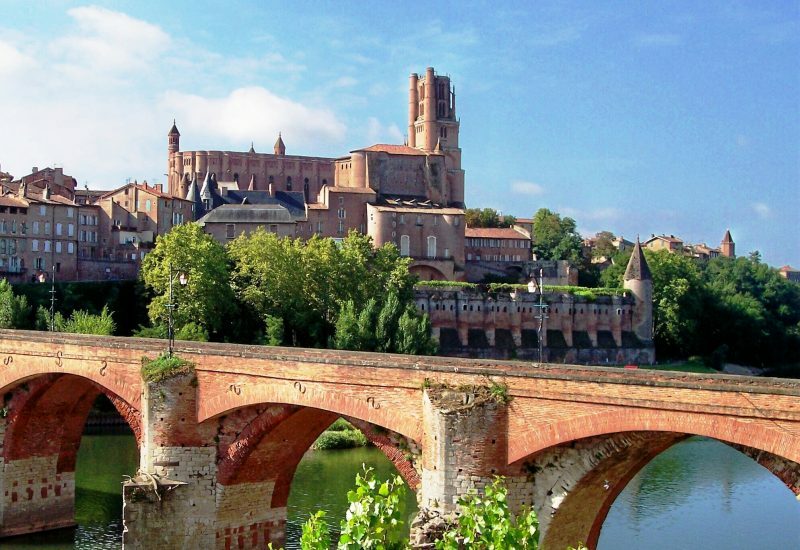 Located 45 mins north of Mazamet, a day trip to Albi (by either car or bus) is a must-see and, if time is limited, our preference over Carcassonne for sure. 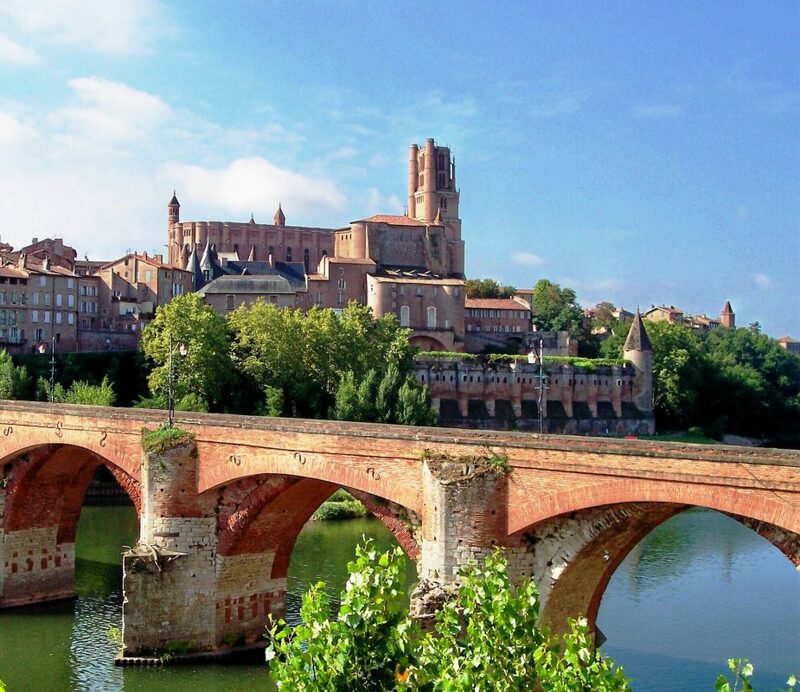 In addition to its location and stunning architecture, Albi’s two key attractions are its gothic red brick cathedral, built in the 12th century, and the adjoining Toulouse Lautrec Museum, dedicated to the famous son of the area and his artwork. 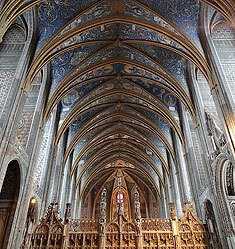 Whilst on a day-trip to Albi, we also suggest the village of Lautrec and Cordes-sur-Ciel, a beautiful hilltop village. France’s 3rd largest city, and home to the European space & aeronautics industry, can be reached by car or train in 90 mins. A large cosmopolitan city with a great cafe culture, historic buildings and museums it is worth a day trip IF you enjoy city-life. 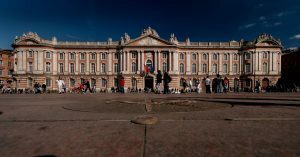 Many of our guests fly into Toulouse and tag on a visit to the city on their day of arrival or departure (depending on flight times). Mazamet sits in the foothills of the Mountain Noire (Black Mountains) and a short drive from its neighbouring range the “Mont de Lacaune” to the north of the town. 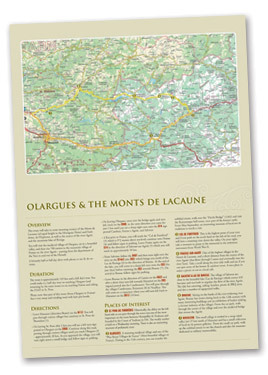 Of equal height, at 1,200 metres, to the Montagne Noire – a drive through this stunning scenery will take in mountain pastures, medieval villages (Brassac & Olargues being two of our favourites) lakes and some unusual places like Sidobre where you will see massive balls of granite, rounded by the ice-age and tossed like marbles and resting in valleys. 90 mins by car (there is no direct public transport) are the beaches of the Med and the two nearby cities of Narbonne & Beziers. We always recommend Narbonne over Beziers as it’s pace is much more gentile with the meandering Canal du Midi, cathedral with cloistered gardens, and good restaurants. Narbonne Plage, the city’s beaches (around 20 mins from the city) are worth a visit with good amenities, but to be avoided during the overcrowded months of July & August, particularly at weekends. 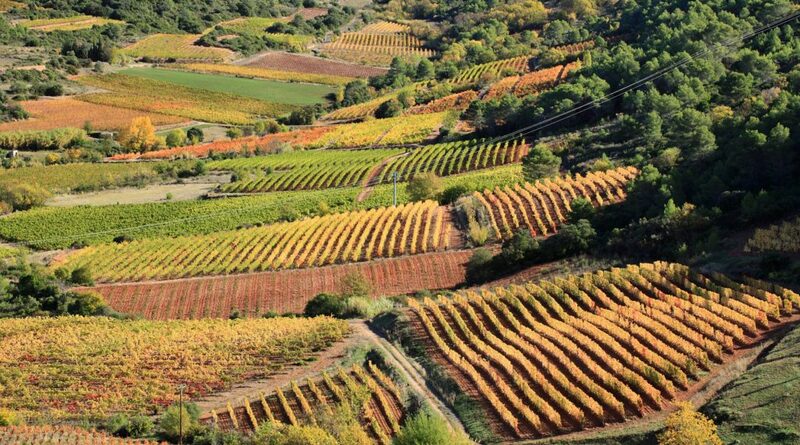 From the casual to the formal, a wine tasting visit can be arranged with local vineyards that are located in various official wine regions “AOCs” within an hour of Mazamet. 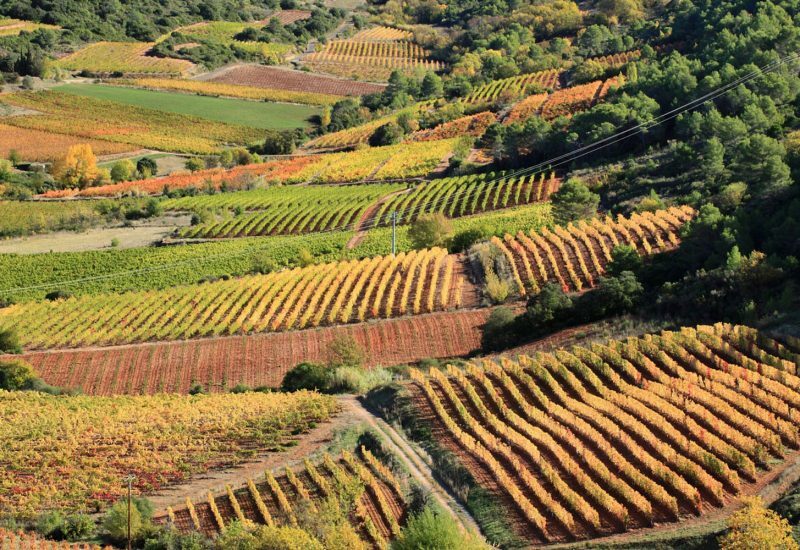 St. Chinian, Cabardés, Cote du Languedoc, Limoux & Minervois can all be easily accessed. Many operate on a turn up and taste basis, whilst others you need to pre-book and offer a gourmet lunch alongside tasting of their wines. 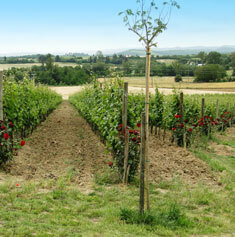 We are happy to help and recommend depending on what you would like to get out of your visit. …with our range of eight self-drive day tours which include a map, directions, suggest stop of places and even where to enjoy lunch.